Re-creating a hairy mammoth or a long-tail passenger pegion is no longer fantasy tales or science fiction stories. The extinct species can re-born by dint of the "D-Extinction" technique already successfully used by scientists. D-Extinction technique requires an effective cell or DNA of the extinct animal to be placed in the ovum of a organically similar existing living being for fertilization. By a complex process the technique enables conception of sarogate mother. Thus, an existing elephant can be a mother of an extinct mammoth. Using the technique in the year 2003 Scientist Jose Falch re-created a bucardo ( pyrenean iben ) goat , an extinct animal, which was wandering long back in the hilly region between France and Spain. But there is a debate among scientists about the effectiveness of the complex D-Extinction technique to increase diversity of creatures. Because, it is already established that most of the creatures lost during evolution process are due to climate change and consequent changes in geological variety and food chain. 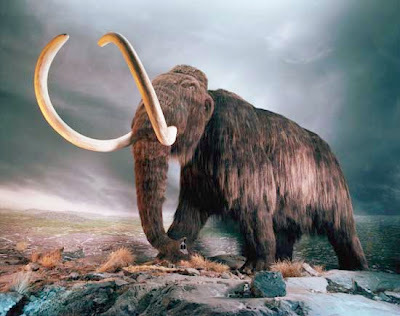 So, re-creating a few extinct species is likely to be unnatural and unsustainable in present climatic scenario.